By Teulon, 1865. 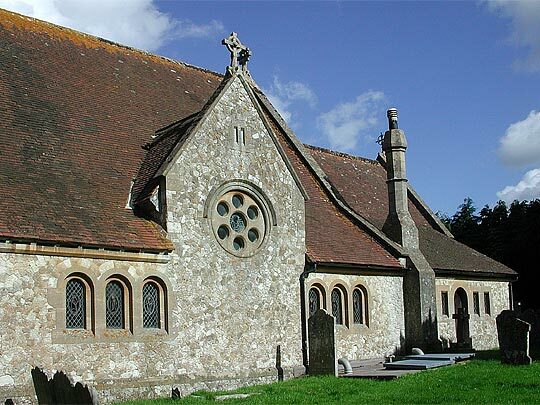 Neo-Norman, not a popular style among the High Victorians. Chalk, the walls in crazy-paving. 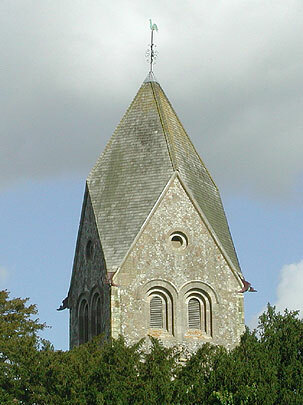 W tower with a Sompting top, i.e. 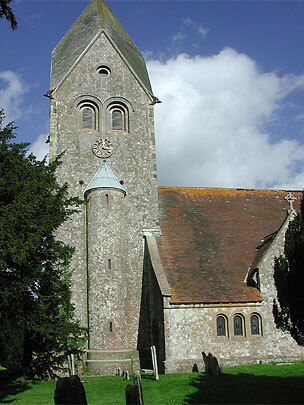 Rhenish Romanesque. Where the true Teulon comes through is in the aisle roofs and fenestration. 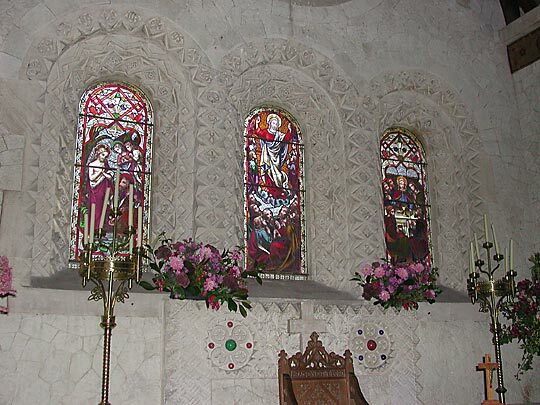 The windows are arranged symmetrically l. and r. of a gabled rose window with plate tracery. The room inside is vaulted. 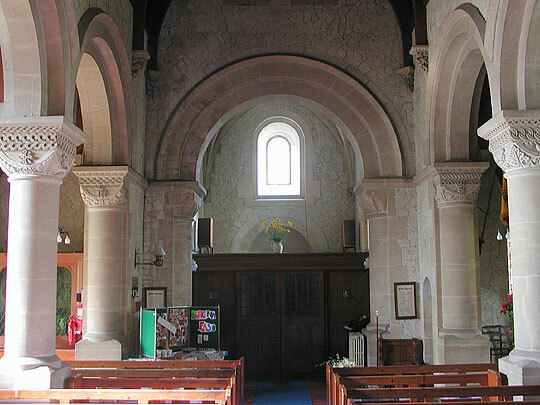 The E arch is thickly Anglo-Norman, but the N and S arcades have capitals rather Italian Romanesque than English. 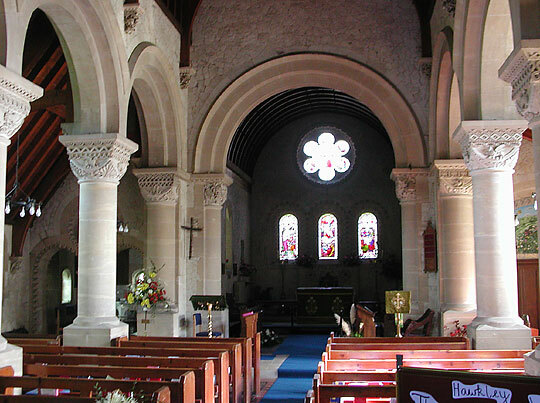 Oddly enough, the capitals of the chancel arch have naturalistic leaves instead, and so have the roof corbels.